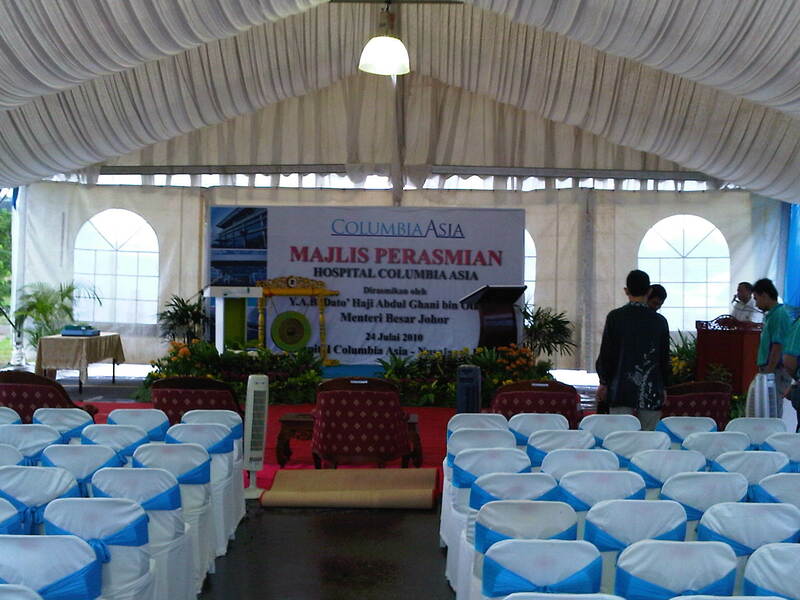 COLUMBIA ASIA HOSPITAL NUSAJAYA Officially open! 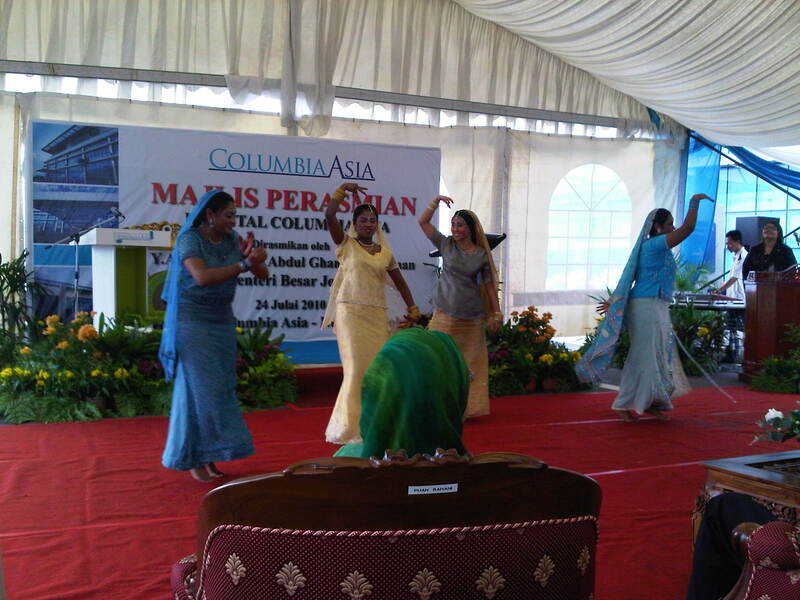 Yes, Columbia Asia Hospital Nusajaya is officially open! We had this ceremony last Saturday 24th July 2010 and our VIP guest was none other than our Johor Menteri Besar, YAB Dato Hj Abdul Ghani Othman. Coincidentally, it was also mine and my father’s birthday. It was a well attended ceremony and many people had many questions to ask about the hospital. If you notice, one of the staff who is dancing Zapin is an Indian(2nd from left, in Green) and one of the staff who is dancing the Indian dance is a Malay(3rd from left). 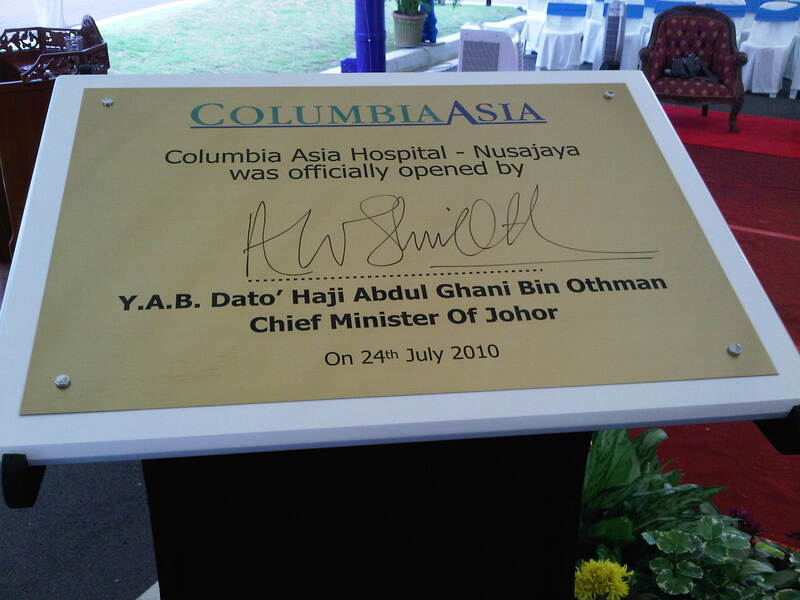 That’s Columbia Asia, a community based hospital, truly Malaysian………. I hope the hospital will be a success. Today, I had my busiest day in the hospital since its soft launch. Hopefully, it will remain the same!